I try a few scoops from top top and the blackberry flavoring is surprisingly bright. You can think of it like a standard sweet black raspberry flavor but a little more natural and fresh. The vanilla ice cream is no match against the blackberry ice cream. 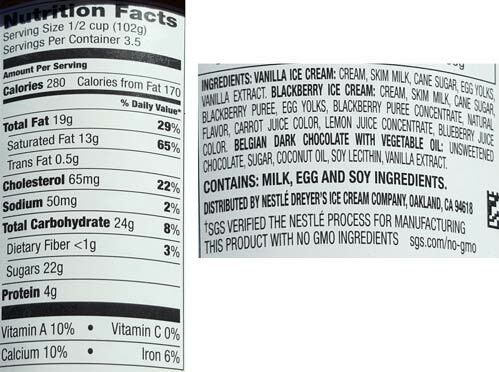 Unless you get a really high ratio of vanilla to blackberry on your spoon (say 80/20), it's just going to taste like a really nice, high quality black raspberry ice cream on your spoon. Is that not cool looking? And the swirl gets thicker as you go down. In general, I prefer no chips in my black raspberry flavors, but it's hard to ignore the fun factor of the chocolate crunch. It definitely works this way because they are going for something very specific with the chocolate swirl rather than adding chocolate chunks just to make the flavor look cooler on the store shelf. I like seeing an old school berry flavor get respect like this. It lets me know the classics aren't dead yet. My only mild critique of this flavor would be in terms of the aftertaste. I can't tell if all the components come together just a little strange on the backend. Could just be me being me. Overall, I definitely enjoyed this one and could have easily eaten more than I did. I was hoping this might be my favorite of the trio lineup and I think it might be. 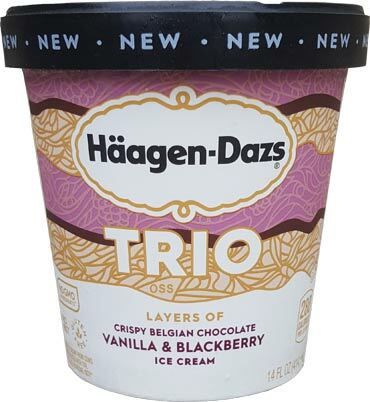 This one just works really well as a trio flavor and now that I think about it, it kind of reminds me of H-D's excellent pomegranate ice cream bars. Well done. On Second Scoop: Wow, that was even more enjoyable on the second try. I almost ate 2/3 of the container without even thinking. 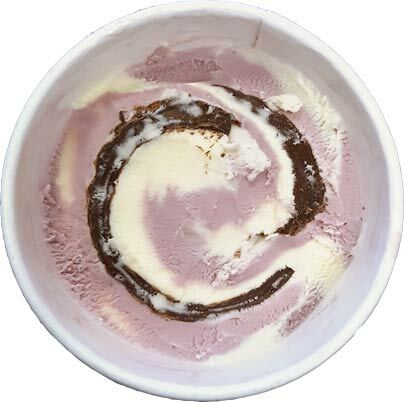 I love the sound of that crunch as you dig through such a delightfully flavored ice cream. Yes I am totally biased on saying this is better than salted caramel because this is my thing. Make sure you try at least one of the Trio flavors. Buy Again? YES! Possibly on the way home. Has anyone seen their new Bourbon Praline Pecan flavor? I've been looking for it but can't find it anywhere. 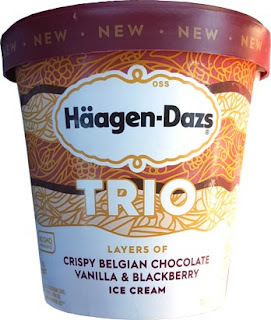 I agree that this is the best of the trio flavors. It's lovely. I just love these! This one is my favorite! @aol: keep searching, it's out there! Just curious as to why you're calling it 'black raspberry' in this review? Blackberries are something entirely different. resisting the strong urge to say something snarky, I'll say this. notice the use of the word "like" before referring to black raspberry. 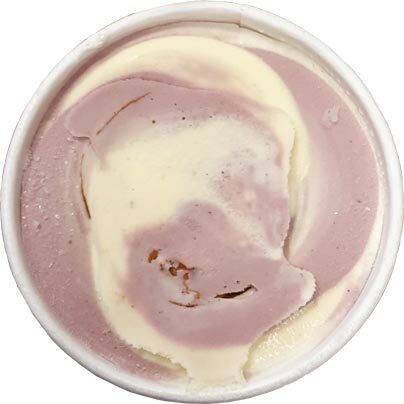 not everyone knows what blackberry tastes like but most know what black raspberry ice cream tastes like.